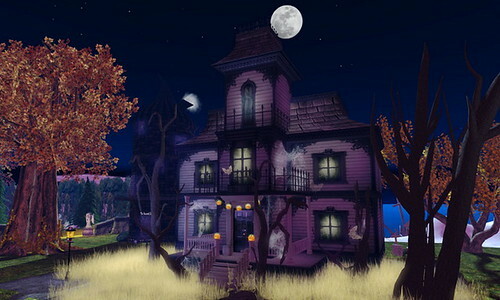 Icewater Village: Its Halloween again! After a nice and warm summer its now time for Halloween. 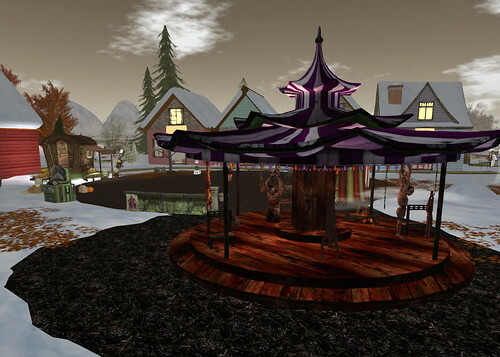 Visit the Carnival and try your change at the Ballon Bust for a free prize or try the Gacha to get some great pumpkin props. Don't forget to get a free Lollipop or Candy Cane. Explore the crypt next to the carnival. And if you dare you can try out the animations which are added to the crypt. If you still dare....walk to the Haunted House. Inside there is blood on the walls, floating books and upstairs a chair covered with blood. Why is there an open suitcase lying in front of the house. What did happen there? 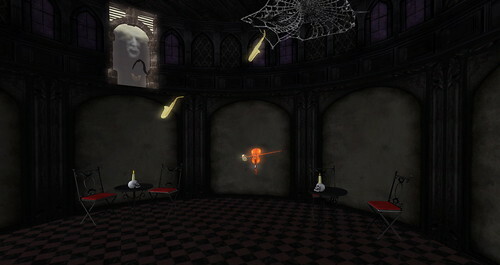 After you have survived the haunted house, take a last dance at the haunted jazz club. More pictures can be found at our Flickr site.